Welcome to our Two bedroom Marina View Villa Suite at the stunning Landings Resort on the north east coast of St Lucia. 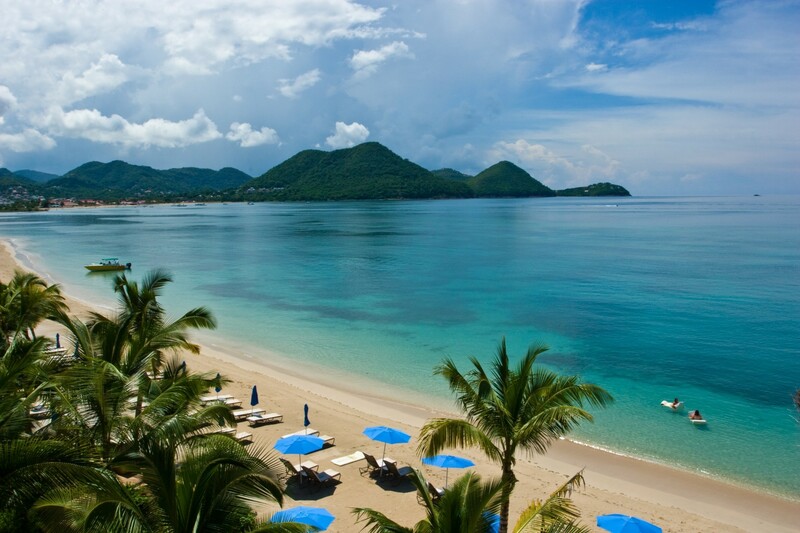 The luxurious Landings Resort and Spa is tucked away on the shores of Rodney Bay along one of St. Lucia’s most celebrated beaches. The location is simply amazing! The resort overlooks the expansive beach with views of Rodney Bay and Pigeon Island Heritage Park. 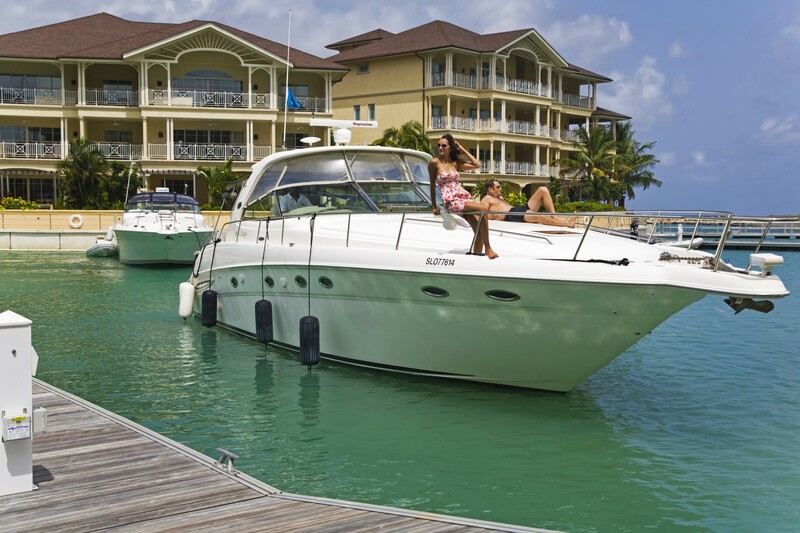 The Landings is Luxury Island living at its finest. The Two bedroom Marina View Villa Suites are 1,400 square foot in supreme luxury and elegance, all have private furnished terraces with views overlooking the resort’s luxury yacht marina, and they are available with or without private plunge pools. The Suites are elegantly appointed with warm woods, bamboo and rattan furnishings and island-inspired artwork and accessories. These suites feature spacious bedrooms with en-suite marble bathrooms, living and dining areas, full designer kitchens, separate powder rooms, flat-screen televisions and washer/dryer. This suite Sleeps 4, 1 King in master & 2 Twins in second bedroom. Guest staying at The Landings suites have complete access to the entire resort and its facilities. There are 3 restaurants to choose from at the resort, The Palms, The Beach club and Callaloo Beach Bar and Grill – all serving the finest of ingredients and authentic St Lucia cuisine. The Soleil Spa here pampers your mind, body and soul. Aptly named "Soleil” because warmth is the theme of our luxurious 7,000-square-foot spa. It features serene treatment rooms, some with outdoor hydrotherapy terraces, a state-of-the-art Health Club and a full-service salon. The resort offers an extensive beach with full butler service with comfy beach loungers and sun umbrellas. Lots of water sports are offered to guests here throughout the day. Make use of the Hobbie cats, Kayaks and Paddle boards and take in the sights and scenery of the area from the water. The Landings also has tennis courts for guest’s enjoyment and a great kids club for your little ones. 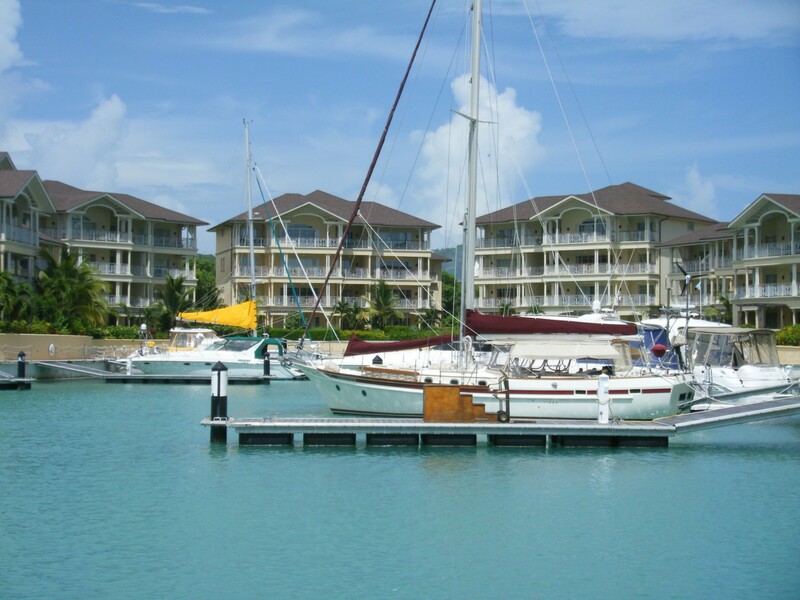 The Landings offers a wonderful Caribbean vacation and retreat for all the family to enjoy. 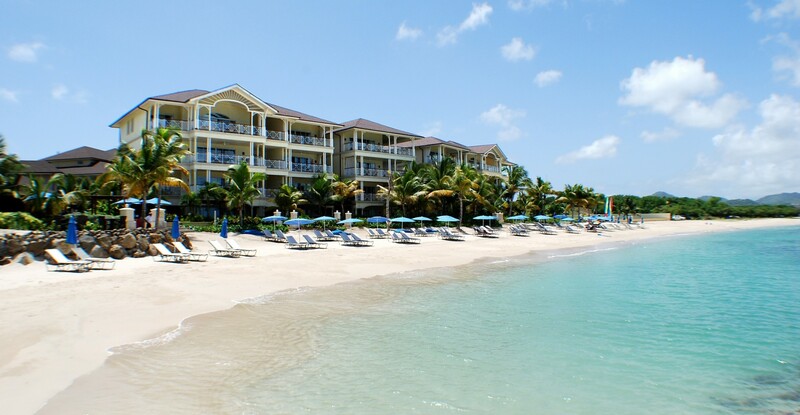 The Landings Resort is located on the north east coast of St Lucia, Tucked away on the shores of Rodney Bay along one of St. Lucia’s most celebrated beaches. The Landings is accessed via the causeway to the stunning Pigeon Island Heritage Park. The resort is located just 5 Kilometers from the heart of Rodney Bay where there is an array of great restaurants, supermarkets, Coffee shops, Night life and shopping. Gros Islet is also close by where guests can experience the famous "Jump Up" Street part every Friday night!